For as long as it has been around, there have been concerns over the privacy implications that come with facial recognition systems. Now, the debate has been reignited following news that some police officers in China are using glasses with embedded facial scanning technology. The glasses were issued to officers stationed at the Zhengzhou East high-speed rail station in Henan province. The devices have already helped catch seven people connected to major crimes, including hit-and-runs and human trafficking, along with 26 people who were using fake IDs. Beijing-based LLVision Technology Co., the company that developed them, told the Wall Street Journal that the glasses can identify a person in 100 milliseconds and can recognize 100,000 different faces, though accuracy will probably drop due to “environmental noise” in the real world. The company also produces wearable video cameras that it sells to anyone, but those looking to buy its facial recognition devices have to be vetted first—and it’s not selling them to consumers. Rather than storing its database in the cloud like most other facial recognition systems, LLVision’s glasses access images from a hand-held device. If a person’s face is found, their name and address are sent to the officer. But there are fears that the glasses could be misused by Chinese authorities, who don’t have a stellar record when it comes to privacy and human rights. 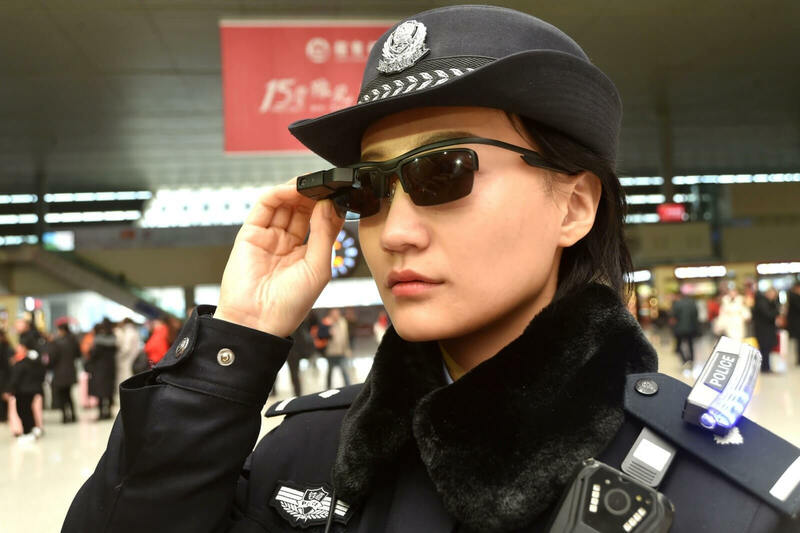 “The potential to give individual police officers facial-recognition technology in sunglasses could eventually make China's surveillance state all the more ubiquitous," Amnesty International's William Nee told the Journal. China is already working on "the world's biggest camera surveillance network." 170 million CCTV cameras are already operational, and 400 million more will arrive over the next three years. Many of these feature some form of AI, including facial recognition.